I haven’t made banana bread since. So I need a new banana bread recipe. I could put just chocolate chips, but that seemed too easy. After a quick consultation with Janice, I decided peanuts was the way to go. Unfortunately I forgot to buy the peanuts. Instead I used peanut butter, sort of like a pre-made peanut butter and banana sandwich. My results were mixed. The flavour was great but the overall experience was lacking. I wanted the peanut butter to swirl through the batter, but the two ended up almost completely combined. I think because of the that the cake was a little dry, sort of like having peanut butter without a glass of milk. I also missed the texture of the nuts in the banana bread. Next time I’ll remember to buy the peanuts. I’m posting the recipe as I made it, but I’d suggest increasing the amount of mashed banana or yogurt, or maybe even butter. Some experimenting may be required. Or just a large glass of milk. Whisk flour, sugar, baking soda and salt together in a large bowl. In a separate bowl combine the bananas, butter, eggs and yogurt. Create a well in the dry ingredients and pour the wet into it. Using a rubber spatula, fold the dry ingredients into the wet until just incorporated. Pour the batter into a greased 8 by 8 inch pan. Dollop the peanut butter randomly over the batter and swirl into the batter using a knife. Bake for 30 to 35 minutes, until a tester comes out clean. PS: If anyone has a fail proof swirling method, I’d love to know what it is! peanut butter and banana in a bread sounds like a great match :) great job on the bread. it looks moist and yummy! 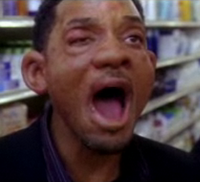 You just in the past year developed an allergy to walnuts? I think that’s the strangest thing, for people to develop allergies after they are all grown up. Anyways, this bread looks great. Maybe it would seem less dry if you dipped it in milk, like a cookie? Who knows, stranger things have happened ;] Next time you should swirl some jam in there too! It is really strange. i still don’t have the reflex to ask if there are nuts in foods. Love this concept!! What a great idea! I was thinking that it should have been a mixture of some kind. I’ll have to test it. Good choice, Elvis would be proud (rest his soul)! have to think about it! Mmm, I love banana bread. Adding peanut butter sounds like a great addition. Maybe peanut butter and salted peanuts next time! I’ve made peanut butter banana muffins, but I would have never thought to actually try adding peanuts.. what about pecans? I bet that would be good too if you have to make it without walnuts. It sure does look yummy! 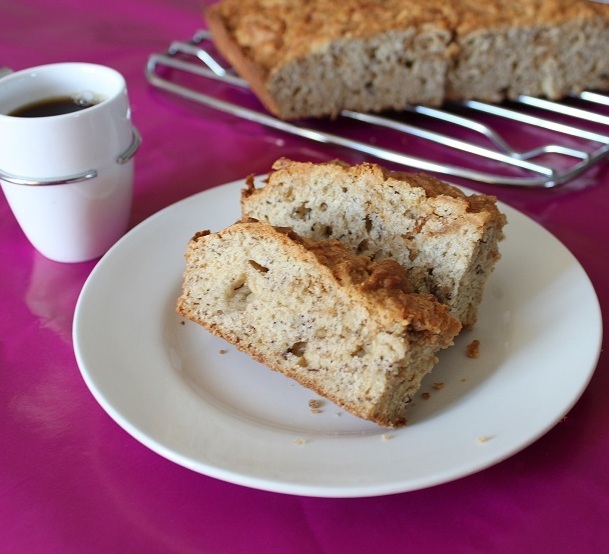 I love the combo of pb and bananas…but in a bread such as this even better! Sounds amazing :)! I make something very similar, Peanut Butter Banana Chocolate Chip Muffins… one of our neighborhood favorites. We use baking powder, more peanut butter, brown sugar in addition to the white and no butter. Pretty close though! Love your pic! Wow, this looks so scrumptious! Yes it is possible to develop (and be freed from) various allergies throughout one’s lifetime! I’d be interested to see if combing the PB with egg mixture helps with the swirl effect. Please let me know how it goes if you try it! Sorry — I meant “combining” not “combing”!! Sounds like the perfect combination to me. 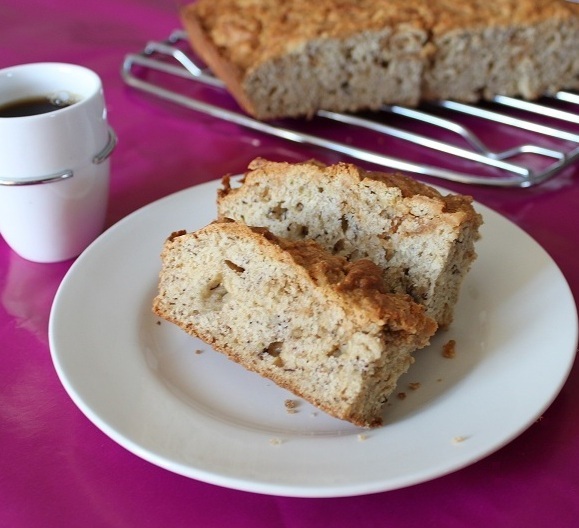 Banana bread…yum. Especially with pb, what a great combo. Ooh, that is SO interesting! A combination so simple and every day, yet I would never have thought to put it together in banana bread- but why not?! Thanks for the great idea!!! Peanut butter and bananas baked into bread. Simply put, it’s an act of genius. I have never added walnuts to my banana bread. It has pretty much been just banana. But the addition of peanut butter? Genius!